Consumer Reports named it a Best Buy for superior quality and value. Featuring a patented aluminum boxed frame design and two project trays to hold your tools right where you need them. 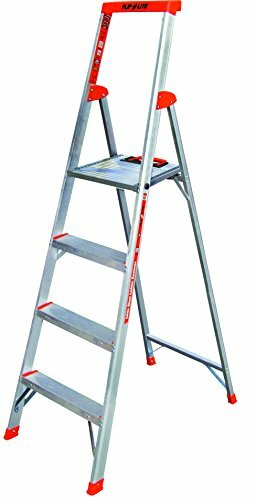 The Signature Series Premium 6' Aluminum Step Ladder features a lightweight aluminum design and provides a safe, larger work space with a large platform top step. 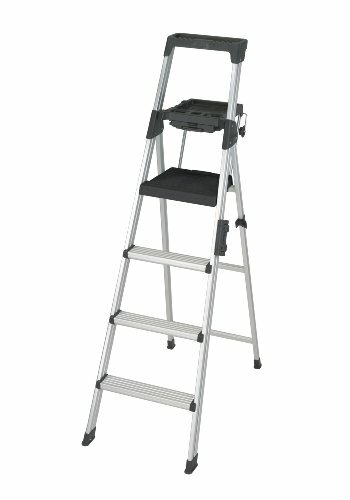 This lightweight and durable 6 Ft. aluminum step ladder has a large platform top step (12 In. x 12/5 In.) for comfortable working space. The large no marring, skid-resistant, stabilizing feet protect floor surfaces. 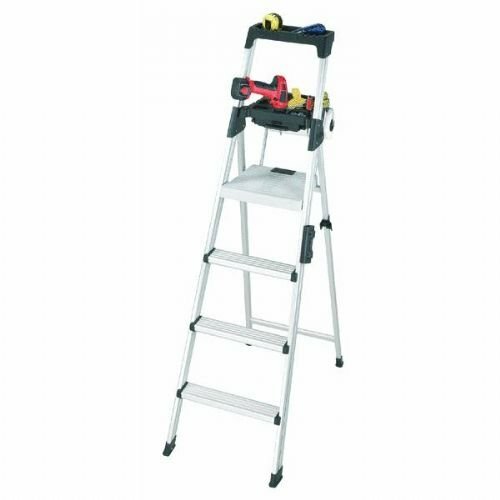 Features easy 1-hand fold operation, comfort hand grips for an easy climb, convenient carrying handle with security lock. Large working tray includes deep top cap, recessed areas for paint cans, tools, etc., locking drawer for small parts, drill holder and even features a paper towel holder. 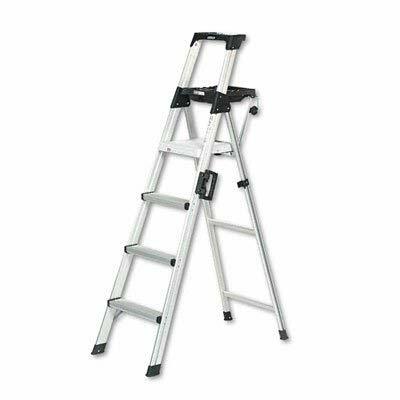 The patented boxed frame adds additional stability that meets ANSI Type 1A extra heavy-duty industrial workload 300 Lb. rating.